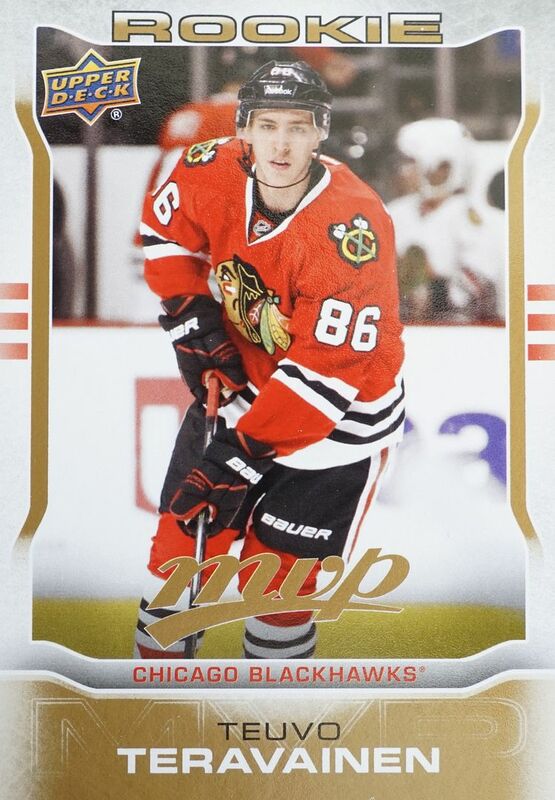 Since the new 15/16 MVP just came out, I thought it would be a good idea to re-visit last year's MVP here in Retail Review. 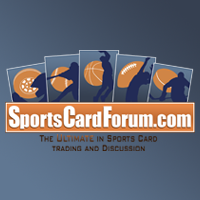 Though MVP is one of Upper Deck's lowest end brands, I think it's been improved by quite a bit as the years have gone on. Unlike its bigger brother Black Diamond, MVP isn't something I cringe at while opening it! MVP is a great low end brand because it gives collectors a chance at both autographs and memorabilia. The odds are extremely long in terms of getting either of them... but at least there's a chance. And even if you don't get a hit, MVP provides you with enough other content to at least keep you happy. A low end brand like MVP needs variety in order to be enjoyed. If collectors just got base card after base card, it would be a terrible blaster to bust. But that's not what happens here. There may be one or two all base packs, but at the very least there should be a number of packs with a silver script parallel card in it. Like I thought, the blaster was definitely fun for me to open. It was cool to see which parallel and insert cards came in the packs. I got a total of six silver parallel cards, my favorites being Felix Potvin and Sean Monahan. The gold script card that came from this blaster box was actually of a pretty good player as well! There were two other insert cards and a rookie card in this blaster. 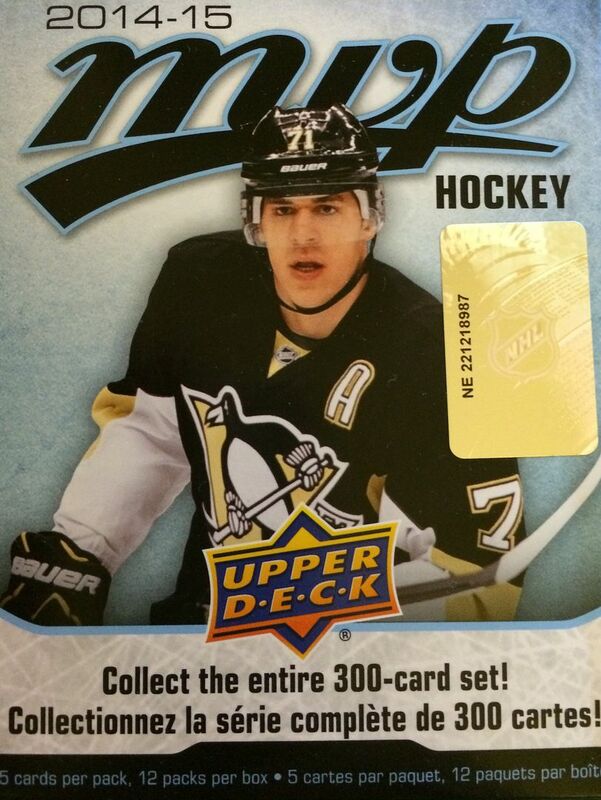 One of the inserts was an NHL 3 Stars of the Week card. It featured Anders Lindback, John Gibson, and Ryan Johanen. I said it before in another review of MVP, but I like these informative inserts in lower end brands. 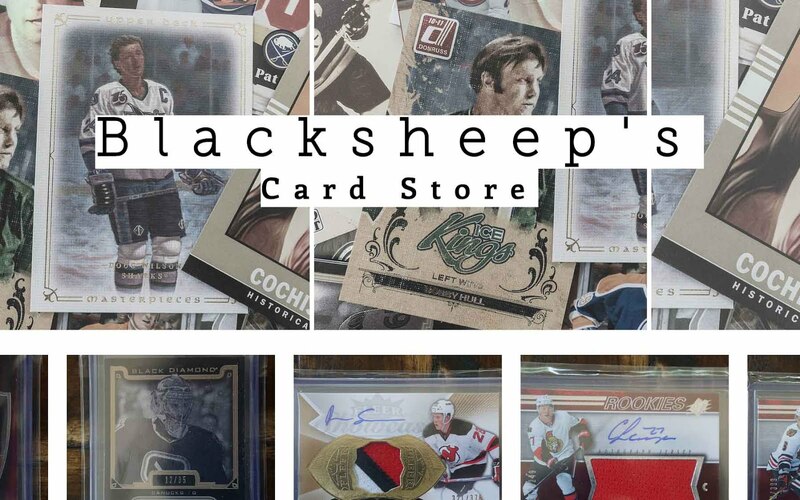 It's great to help collectors gain knowledge of the NHL. Teravainen was one of the hottest rookies from this particular year. I definitely do not have very many of his cards so it was good to find his rookie here in this blaster. Another Blackhawk in the top three! 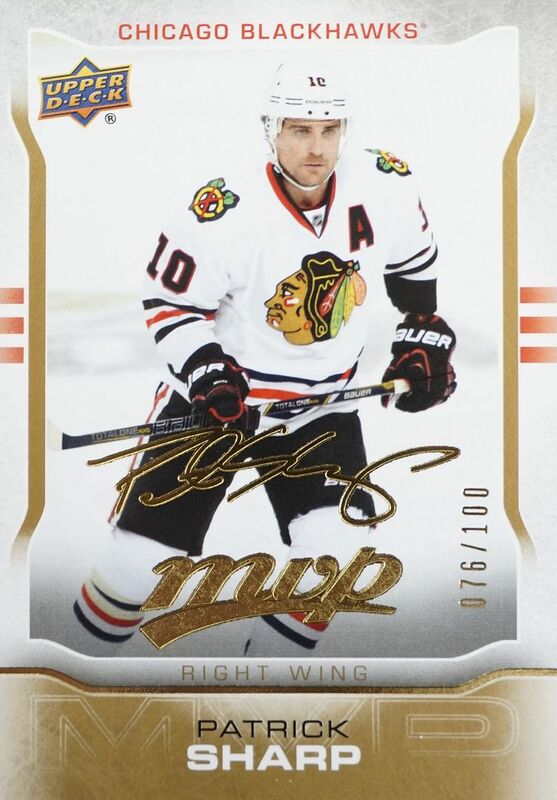 This time it's Patrick Sharp's gold script parallel card numbered to just 100. I'm not sure if you get gold script in every MVP blaster, but it's always nice to get a serial numbered card in retail products. I'm always happy to see teal come out of blasters. 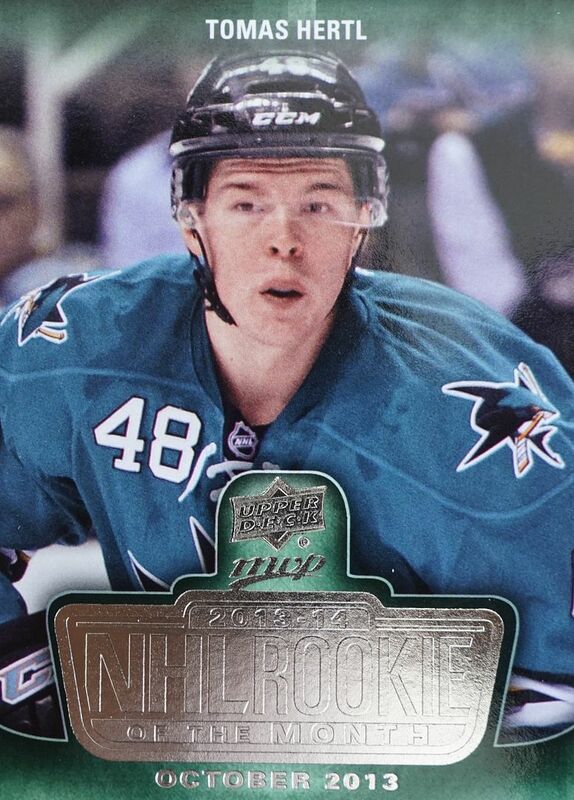 Hertl is one of the Sharks players that I don't have a lot of. Only recently have I gotten more of his cardboard. I think this is an interesting photo of Tomas. Maybe for twenty dollars this wouldn't be the best deal, but at under ten it is great! 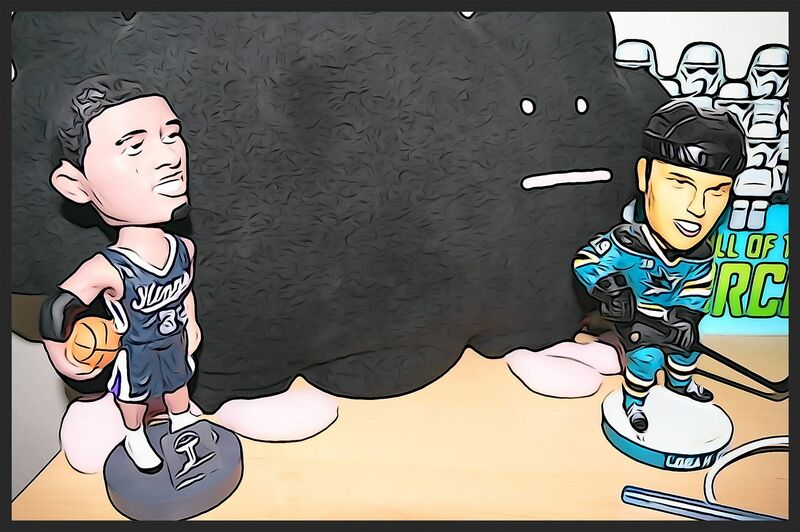 MVP may not be a huge favorite of seasoned collectors, but for new ones and collectors on a budget, it is a good product to get. Nice blaster. I had a similar outcome in my blaster. I've been lucky with blasters, but after getting a hobby box of MVP and getting some great stuff, I'll never go retail again. Too hit and miss. Awesome sharp. I have never been lucky to pull anything from a retail blaster of mvp.